Delivery Specialist - CDL Class A FULL-TIME $25/hr Pay range is $18.00 - $25.00/hour depending on experience. Duties include driving delivery vehicles and/or operating truck-trailer combinations to transport and deliver materials to customer sites. Assisting in loading and appropriately securing product, materials or supplies inside delivery vehicle. Verifying order details and maintaining logs of delivery duties including amounts, weights, mileage and location of deliveries. As well as checking items against invoice to ensure order accuracy. PDX-02. Schedule Shift start: 6:00AM Shift length: 8 - 12 hours Monday - Friday Benefits Health, dental, vision insurance - available after 60 days Paid holidays 401(k) plan Qualifications Must pass drug screen Can lift 100 lbs in the air Must be at least 21+ years old Valid Class A license. One year of delivery driving experience. Two years of CDL driving experience. Experience operating a manual transmission. Ability to pass a MVR report. Ability to obtain a DOT medical card. 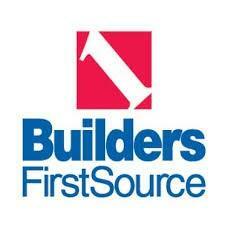 About Builders FirstSource Builders FirstSource & ProBuild strive to be the preferred supplier of structural building materials and services to homebuilders and remodelers across the nation by giving them both personalized attention at the local level and a wide range of resources only offered by a large company. Our goal is to provide outstanding products and services to every customer, regardless of size.